Imagine the audio frequency range as a very wide highway with lots of “lanes”. Each of these lanes represents a specific frequency band. The lanes on the left side contain the really low frequency content, mainly bass, bass vocals, and the kick and tom drums The middle lanes make up the fundamental zone of most musical instruments and the male and female vocals The right-hand lanes have all the high- frequency stuff, such as snare drums, cymbals, higher pitched percussion instruments and the content that adds sizzle to the mix. Most acoustic and electric guitar energy lies between 100 Hz and 6.4 kHz. Even slight changes in this range can cause a tremendous variation in overall energy and impact, as the human ear is especially sensitive to this range. 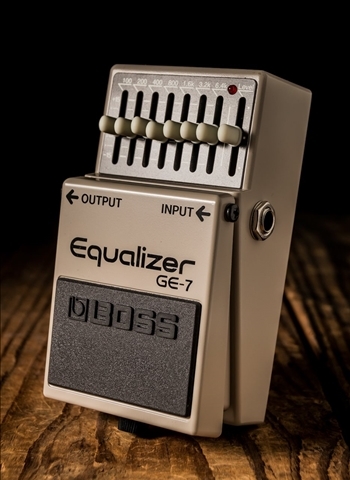 Boosting frequencies around 200 Hz - 400 Hz often provides warmth and body, while boosting frequencies in the 3.2 kHz - 6.4 kHz range adds clarity to clean guitar signals. Depending on the amount of distortion, this same range can ruin the sound of an overdriven electric guitar by adding harsh harmonics. One of the most common mistakes is adding too much bass to acoustic guitars. If the low frequencies are boosted excessively, acoustics can easily get lost in the overall mix. Most acoustic guitars are also prone to feedback in the 200 Hz - 400 Hz range. A general rule of thumb - the best results are often achieved by finding and reducing the frequency bands that are offending, and then turning up the overall volume, rather than boosting one specific band. 100 Hz (low bass) Boost: To add fullness to guitars, especially clean electrics Cut: To reduce muddy or boomy tone and control acoustic guitar feedback 200 Hz (soft bass) Boost: To increase the warmth of all guitars and provide a slightly harder sound Cut: To increase clarity and reduce feedback in acoustic guitars 400 Hz (hard bass) Boost: To add definition to rhythm parts Cut: To reduce feedback in acoustic guitars (This is a major feedback zone for piezo-equipped flattops) 800 Hz Boost: To add an aggressive edge to the overall sound Cut: For reducing the nasal or horn-like content, often referred to as the “cheap guitar” syndrome 1.6 kHz Boost: To make the guitar cut through the mix. 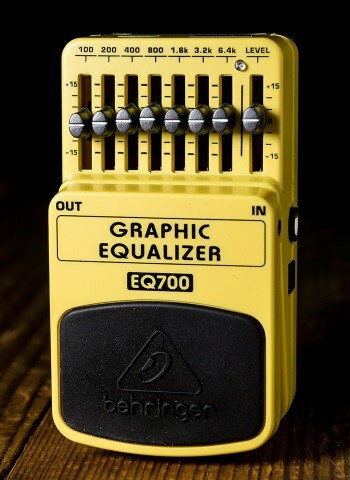 Creates a more distinctive plucked tone Cut: To eliminate dullness and competition with vocals (vocal fundamentals occupy the range from about 1.0 kHz - 2.5 kHz) 3.2 kHz Boost: To add significant attack to all guitars. Creates an even more distinctive plucked tone Cut: To eliminate harshness 6.4 kHz Boost: To add edge and increase brightness to all guitars Cut: To soften thin-sounding guitars and remove string squeak.